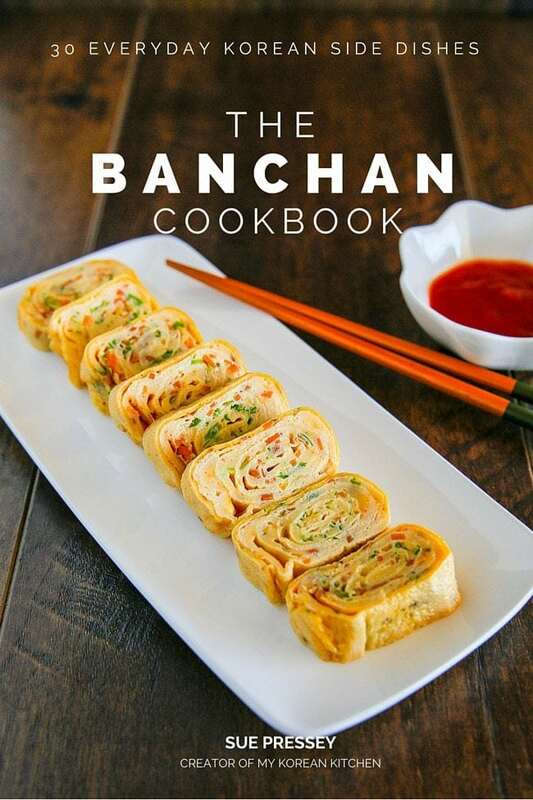 I’m so excited to try out your Bachan recipes. However, I am having trouble opening the ebook in the Gumroad app. It keeps asking me to Log in eventhough I have never registered. It also stalls when I try to login via Facebook. Just wondering if the link to the ebook will expire if I can’t save it onto my iPad. As far as I know, the link from the original receipt don’t expire. But for whatever reasons, if you can not find that email or the link doesn’t work, please send me an email. I can resend you one. 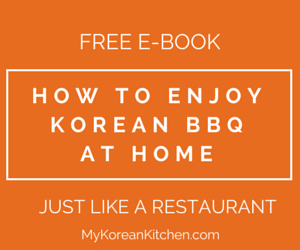 a not spicy kimchee recipe. 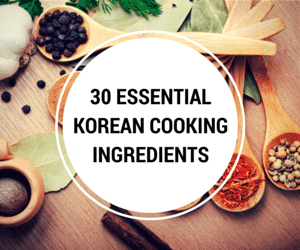 Do you think you can come up with an easy white kimchee recipe? Thank you for putting this together. I will share this with my daughters too. Hi Eunice, White Kimchi is on my to do list! I’m in the process of refining it. 🙂 So, stay tuned! Downloading the book to your computer and iBook is really easy. Open the email (from Gumroad) and click the “view product” button (or download button) on the receipt email on your desktop computer. It should automatically start downloading it onto your computer. Be sure to check your download folder. For whatever reason, if it didn’t download to your computer but opened a web browser to Gumroad (the sales processor), click the download button on the right hand side on the Gumroad page. That should download it onto your computer as well. Of course, be sure to check your download folder. In the middle of the browser, you will see ‘23.8MB PDF’ with a facing down arrow. Click it to expand and view the options. Click ‘download’ then it will start downloading it onto your mobile/tablet device. Once it’s done, ‘open in iBook’ message will appear on the righthand corner of the book. Click it, then it will save onto your iBook library. If you bought the eBook and videos package I suggest you download one video at a time as you need them, rather than all at once. Each is about 100MB, but if you download all at once it will take a long time. Let me know if you have any issues with downloading the eBook or videos still. 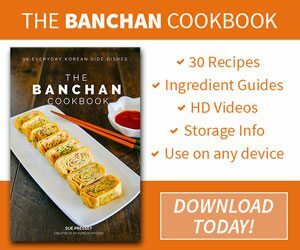 I bought your Banchan cookbook on my iPhone, how would I now get it on my iPad and/or computer? Hi Brian, Thanks for purchasing the book! Did you already download the book using the GUMROAD app? If so, you can save the eBook onto your iBooks app as well so that you can access it more conveniently. If you purchase the book and haven’t downloaded it at all then download the eBook to your computer (using the link provided by Gumroad in the email), sync it to your iTunes library, and sync your iPad and iPhone with your computer. You should also be able to access the link you got from Gumroad on any of your devices, as long as you click it from the same email account. Please let me know if you are still experiencing any difficulties! Thanks, Sue. Does the cookbook use standard measurements or is it in American measurements? Hi Michael, For cup I use Australian metric system (1 cup = 250ml) but for spoon I use US metric system (1 Tbsp = 15ml). I know, unfortunately it is a bit of a mixed bag. Australian kitchenware stores randomly carry US and Australian measuring cups and spoons without a clear label and I bought these a very long time ago when I didn’t even know there was a difference! I just got too used to using measurement this way. In the book, a basic conversion chart is provided. For weight measurement, both gram/kilogram and ounce/pound information is provide in each recipes. I hope this helps. Thanks for your interest! I truly love your recipes! Is this available in hard cover or just IT format?